Samsung Electronics’ recent introduction of HDR10+, an open standard for high dynamic range (HDR) video that optimizes brightness levels from scene to scene and allows for greater contrast and true-to-life colors, signals the beginning of a new era in home entertainment. An era that will allows consumers to enjoy the best possible viewing experience by making immersive and lifelike visuals the new normal. 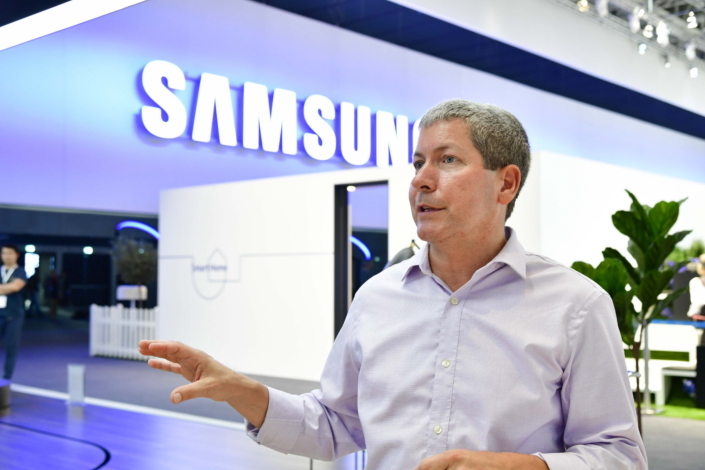 Samsung Newsroom sat down with the Vice President of Samsung Research America’s Digital Media Solutions Lab, Bill Mandel, to discuss the ins and outs of the open-source platform, as well as Samsung’s efforts to accelerate its adoption. Q. In a nutshell, how does HDR10+ help Samsung’s QLED TVs create immersive viewing experiences? HDR10+ processes images dynamically, allowing for scene by scene, and at times frame by frame picture enhancement. QLED TV’s advanced image technologies make the displays fully capable of portraying these optimized visuals. This dynamic approach to image optimization results in rich, accurate colors and deeper contrasts. It means that when watching a show or film, characters’ expressions and the details of a scene appear crisp and nuanced, making the scene truly come to life. Q. What sets HDR10+ apart from other video formats, such as HDR10? HDR10+ is designed to reproduce images with utmost accuracy, even on displays which would otherwise have difficulty portraying HDR10 content. While HDR10 produces remarkable visuals on Ultra HD PremiumTM displays, HDR10+ allows consumers to enjoy HDR10’s image benefits on a wider variety of TVs. Samsung UHD and QLED TVs’ HDR10+ integration allows them to fully utilize their native image technologies to provide the most lifelike visuals out there. Even premium TVs will benefit from the display-engine upgrades that come with HDR10+, as well as the incorporation of HDR10+ data in picture optimization. Some competing platforms employ techniques with fewer control points, and are tuned on reference monitors rather than the consumers’ displays. It’s quite difficult for display manufacturers to take a reference monitor-defined process and adapt it to a range of products. HDR10+, on the other hand, was designed specifically for consumer sets, and engineered to reproduce content created with an HDR10 master in a manner that preserves the creators’ intent. Q. What led Samsung to make HDR10+ open source and royalty-free? Samsung strongly believes in making core technologies openly available to the industry to help build strong ecosystems. We’ve seen this before with platforms like Tizen. It’s for this reason that Samsung made HDR10+ available to chip and TV manufacturers royalty-free. In January of 2018, we will begin licensing the HDR10+ platform and metadata for free to content companies, UHD Blu-ray player and set-top box manufacturers, as well as other vendors around the world. By making HDR10+ openly available, we provide a platform that will lead to the creation a variety of devices that depict video content in a manner that offers viewers the best possible expression of the creators’ intent. Q. What are some of the actions that Samsung is taking to ensure a smooth transition to HDR10+? Our goal is to see HDR10+ available to any manufacturer out there who would like to incorporate it into their displays. We’re offering engineering support to help these manufacturers achieve the best results, and we’re currently in discussions with various content creators and distributors as well. Everyone we’ve met with at the industry level has been shown the platform’s benefits, as well as the simplicity with which it integrates into existing processes. We’re also working closely with vendors to make it easy for content creators and studios to generate HDR10+ content using existing HDR10 videos. We plan to announce further details on the platform’s adoption in the coming months. Q. Could you elaborate on some of the advantages that HDR10+ offers our partners? Through our partnership with 20th Century Fox and Panasonic, we’ve introduced a logo and certification program that allows displays to be certified for quality HDR10+ implementation. We are working to enable post production tool suppliers to incorporate HDR10+ so that content producers can integrate HDR10+ generation right in to their final post production. Additionally the function of these tools could be incorporated into transcoding operations so that even libraries could be upgraded to HDR10+ if so chosen by rights holders. We are aiming to provide the best ability available to generate and review HDR10+ data for their content. Q. We’ve heard that HDR10+ was designed with the future in mind. Could you elaborate on this? The SMPTE standard that we introduced at the end of 2015 was designed to be forward-thinking. It’s currently capable of blending in HDR10+ over parts of an image, but its versatility also makes it possible to incorporate support for new advancements in image optimization in the future without impacting performance. 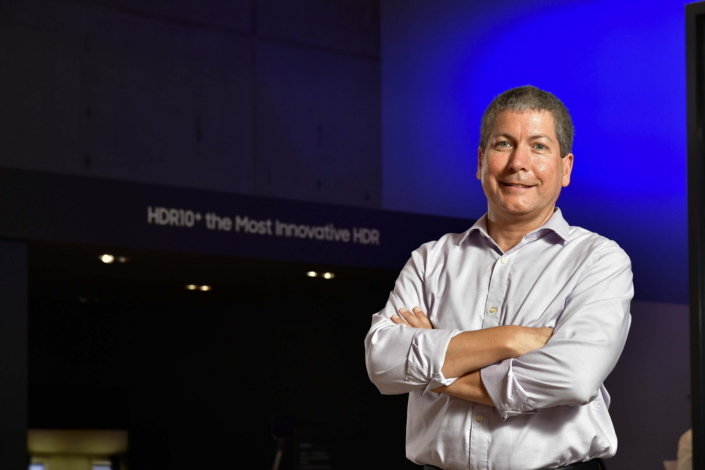 Over the past year, we’ve been conducting demonstrations and working with HDR10+ in our labs to confirm with certainty the profile of HDR10+ that we are putting into practice. Q. 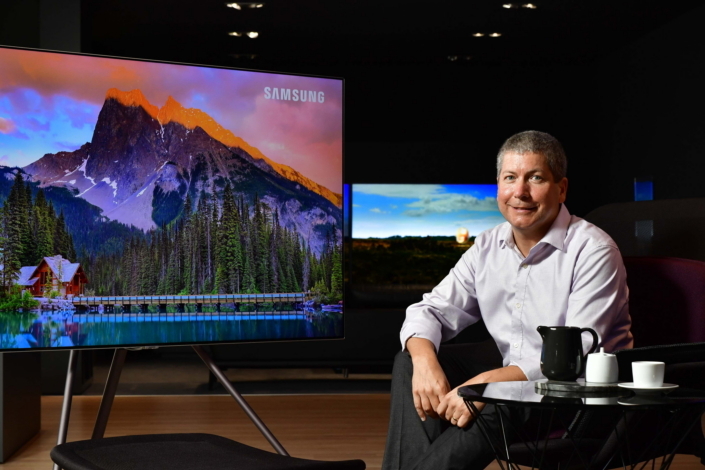 What can consumers expect to see next in terms of picture quality? We’re currently witnessing intense development in this area across the industry. Now that we have a great image platform in HDR, as well as open delivery systems in HDR10 and HDR10+, there is a lot of room for innovation in content production, post-production, and displays – all of which will benefit the consumer. Over the coming years, this will lead to significant advancements in picture quality that empower creators and filmmakers to produce great content. In addition, the proliferation of HDR10+ will allow cinematographers to create engaging three-dimensional content by taking depth and detail to entirely new levels.